Weighing only 6.9 kilograms and over 80% bigger in size, the Cobb Supreme is simply more sociable. Allowing you to cook 2 chickens and vegetables simultaneously with only 2 Cobble Stones or 12 to 20 charcoal briquettes (depending on timing or heat required). The promise remains intact and has been carried through to the Supreme - cooking anything , anywhere, anytime. 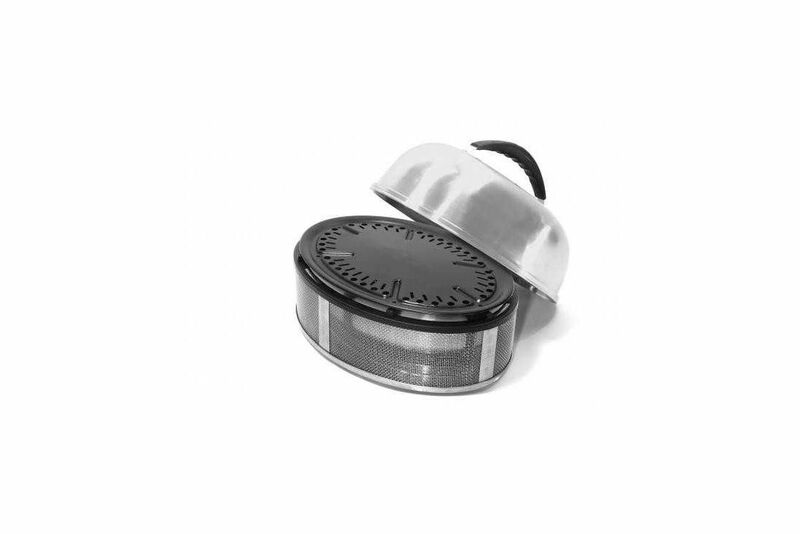 The Cobb Supreme is truly in a league of its own – made of the highest grade stainless Steel, economical and user friendly. Taking lifestyle cooking one step further! The Carry Bag And Roast Rack will be availabel to order, not included in the price.